The Division organizes an annual one week institute for advanced study of current issues in cultural psychiatry. The program is directed to scholars, researchers and clinicians currently working on a specific theme which changes each year. Language is the most distinctive feature of the human mind, through which we fashion our lifeworlds in the process of poiesis, giving voice to suffering, making sense of our predicaments, and finding ways to heal. Each language of suffering and affliction is deeply rooted in a cultural history, geography, and community. Every expression of distress and effort at transformation draws from these shared languages even as individuals improvise new hybrid forms. Understanding the creative functions of language must be central to a psychiatry of the whole person. This meeting will bring together researchers in cultural psychiatry with scholars engaged in studying how language constructs experience through embodied metaphor, narrative enactment, and situated performance. 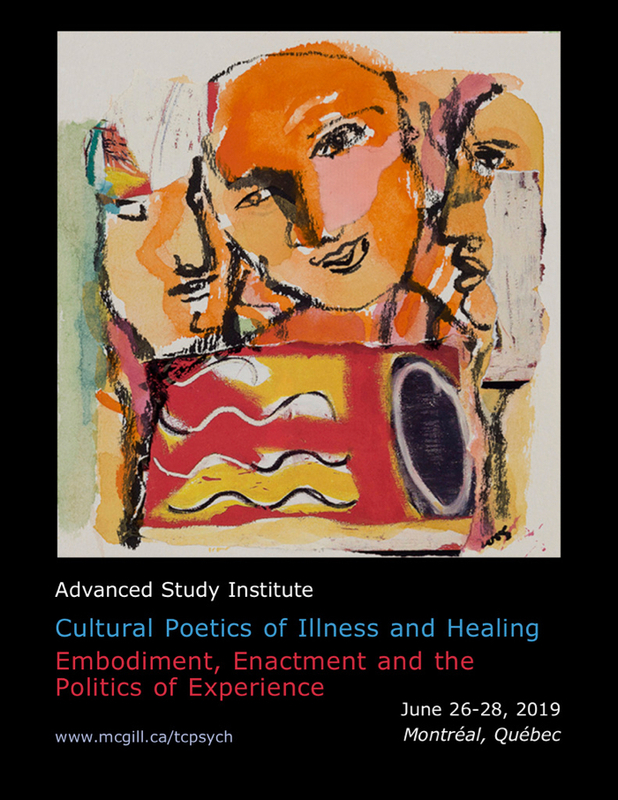 Presenters will explore the ways that cultural resources suffuse our linguistic capacity and modes of self-construal in the experience and expression of symptoms and illness and in the processes of identity transformation and healing. Sessions will address: 1) the cognitive science of language, metaphor, and poiesis from embodied and enactivist perspectives; 2) how cultural affordances, background knowledge, discourse and practices enable and constrain poiesis; 3) the cognitive and social poetics of symptom and illness experience; and 4) the politics and practice of poetics in healing ritual, psychotherapy, and recovery. The format will be a two-day Workshop (June 26 & 27) for researchers working on these issues followed by a public Conference (June 28) directed to mental health practitioners, researchers and students. The workshop will involve intensive discussion of pre-circulated papers by participants. After peer review, selected papers will be published in a thematic issue of Transcultural Psychiatry. There will be poster sessions on June 28, 2019. To submit a poster, please register before May 1, 2019. Registration for the Advanced Study Institute is now ONLINE.